Taking place in a deeply religious snake handling community isolated in the mountains Them That Follow has a lot to engage with. The topics of repression, gender roles, family, violence, faith, and rejection of the secular world (including medicine) are all up for grabs. To its credit, co-directors/writers Britt Poulton and Dan Madison touch on each of these themes. The issue is they don’t seem to have anything very significant or unique to offer about any of them. 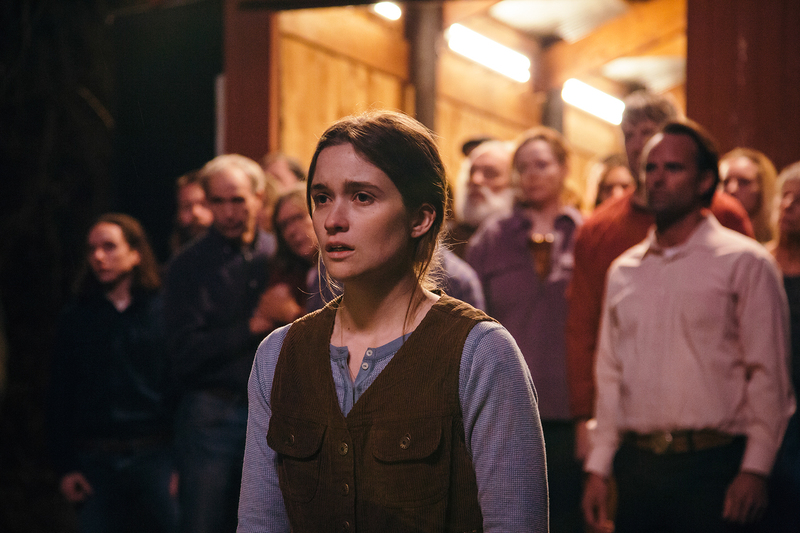 The film revolves around Mara (Alice Englert), the daughter of their community’s charismatic, intense, and faith-driven preacher (Walter Goggins). She takes part in the rural community’s traditions, including their snake charming services and appears to be content there. She prepares to take the next step expected of her to marry a respectable young man of the church (Lewis Pullman) pre-approved by her dad. However, a past romance and the potential fallout with a non-believer (Thomas Mann) has her conflicted and forces her to challenge her father, the community and church. It’s in this premise where the problem primarily lies with this film. There’s far more intriguing things at play here that the filmmakers could and really should be delving into. Watching this it’s hard not to want more regarding why people choose this lifestyle and religion and what they feel they get out of it, or from Mara and her identity struggles and what it is she wants out of her life as opposed to what her family and church want. But instead, it’s a very familiar feeling love story, and one that is woefully undeveloped. Their relationship has already been formed by the time we’re introduced to the characters and we get very few indications of why the two fell for each other or that they’re actually in love, which can be blamed on the script, poor pacing and the fairly lacklustre chemistry the actors share. Englert as Mara is certainly the film’s greatest asset though. She is utterly captivating, and often devastating, in small, quiet ways. So much of what her character is experiencing and feeling is internal and buried deep, but she still manages to allow us in, just enough. Reminiscent of Rooney Mara in her best roles, Englert reveals herself her to be an actress who knows how to act for the screen without being at all showy or over the top and says so much in a quick look or quiver of the chin. The remainder of the cast is good, but they aren’t given enough to do and it shows. Certain characters can’t help but feel stereotypical. Unfortunately, if after The Favourite you were looking for another incredible performance from Olive Colman you won’t find it here. It’s not that she does a bad job- far from it. Only her character, a blind follower of her faith and wife/mother, doesn’t have much nuance to her and besides an occasional small monologue she doesn’t get much of an opportunity to shine here, as is the case for the majority of the actors. Ultimately, Them That Follow has such an interesting and rich setting, one can’t help but be fascinated with it. That coupled with some truly excellent and thrilling scenes with snakes and a strong lead performance elevate the film. Sadly though these elements just make it all the more disappointing that it squanders that potential with a rather run of the mill forbidden romance tale. 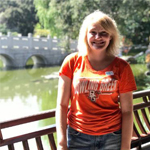 Jennifer Verzuh is a writer who’s spent the past year and a half traveling across the US working at film festivals after graduating college, where she studied literature and film production. Some of her favorite movies are Carol, Ida, Jackie & Nashville. You can follow her on Twitter at @20thcenturywmn or letterboxd.